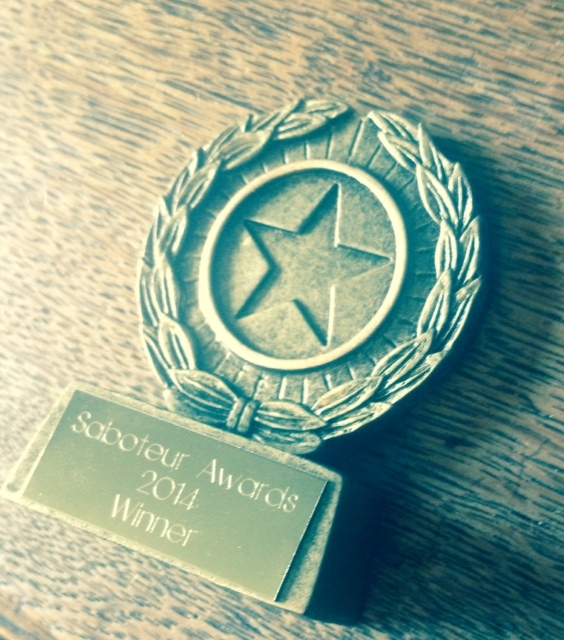 On Saturday 31st May, at Oxford’s Jericho Tavern, we will be announcing the results of the public vote for this year’s Saboteur Awards (check out the shortlist here). Over 2500 of you cast your vote this year to have a say in the outcome. 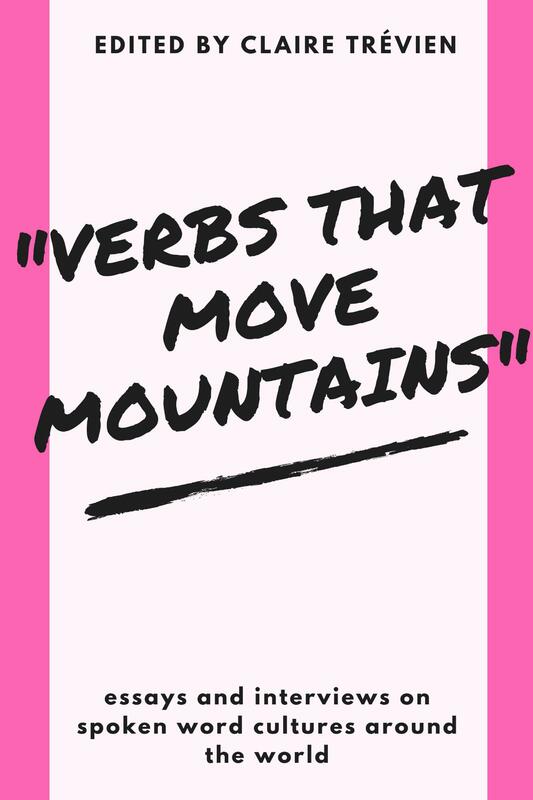 However, results are just the tip of the iceberg of what we have planned for that day, which will be the ultimate literary bash, combining fiction with the page and stage sides of poetry. 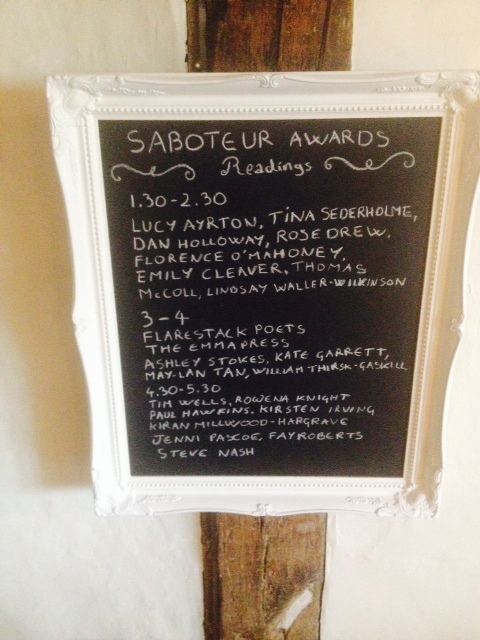 Pre-awards, we have a whole day planned out for you, with fantastic authors giving you a taster of their work and a bookfair featuring some of the most exciting indie presses around. Best of all, it’s free! So grab a pint or a cup of tea and come and hang out with us. The evening awards are ticketed, and it’s cheaper if you book in advance, so we urge you to head over here to buy some now. Sabotage Reviews is entirely run by volunteers, each ticket you buy helps us break even, and makes it more likely that we can keep running these celebrations of indie literature. It’ll also be our 4th birthday, so, you know, it’d be nice to see you and all. Enough with the chitchat, below you’ll find a timetable of the afternoon readings as well as a list of the publishers attending the book fair. 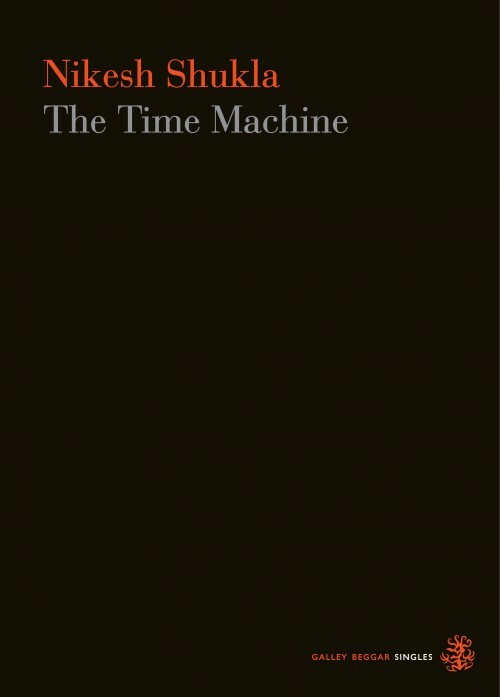 A quick note that each editor curated an hour’s worth of readings in the afternoon so the poetry/spoken word/fiction labels are a reference to that.